This multifunctional double oven from Rangemaster provides a variety of ways to cook your favourite foods. The second oven is also multifunctional – so you can use both cavities at the same time to cook mains and dessert. It also has a handy programmable timer can be set to turn off when food is ready. Cleaning is easy too, thanks to grease-proof enamel liners, as a simple wipe after use is all they need. This model is designed to fit at eye level. Want to make sure this built-in double oven will fit in your kitchen? Check out our handy measurement guide video. We’ll show you everything you need to know about measuring up in just a few simple steps, so your new appliance will fit like a glove. Installed just over a week ago, and really happy with this double oven. Going from a single to double has been an eye-opener, I thought I'll lose space in the lower oven but actually bigger than my single oven...bonus top oven can be used for plate warming. Totally recommend. Arrived in time.Driver and assistant were cheerful and polite. No issues. Love it and good value. Thanks AO So pleased I have just ordered another product. 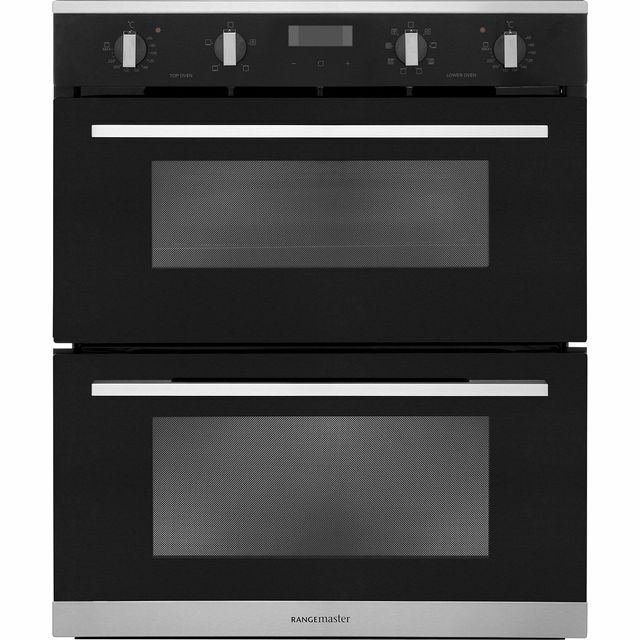 Bough this oven for our new kitchen, wanted one which looked smart and not too shiny. 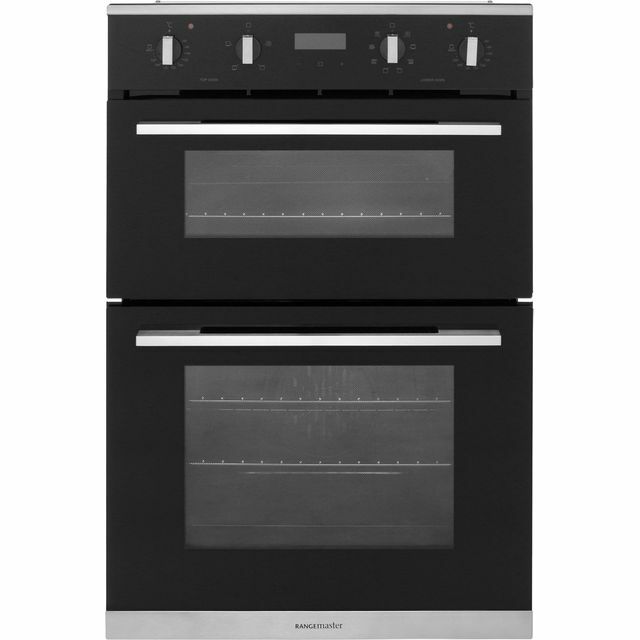 This oven is so much more, lots of different options, including a defrost and base heat only, spacious top and lower ovens and easy controls. Alright, so it’s a bit noisy, not great for a kitchen/ diner but I’ll forgive it because it’s fab otherwise!! After reading reviews on cheaper double ovens we opted for Rangemaster. So far so good and would highly recommend this particular model.